This is the 1981 masterpiece from Director Louis Malle. The flavor of the opening scenes, in which the old hotels are being demolished to make way for the new corporate ones, can be found in "Casino", the blockbuster hit film by Martin Scorsese which was made over a decade later. This film is largely about people and their dreams. 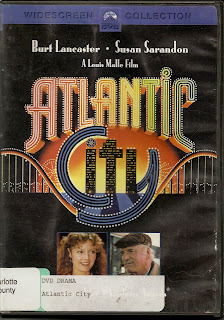 Burt Lancaster plays Lou, an aging man who has been a low level numbers runner in Atlantic City for decades. He has been everyone's errand boy, but never made that one big score for himself. He wants to be like his old boss, the man on top. That's his dream. Then there is the dream of Grace, the long suffering ex gun moll, and widow of Lou's old boss. She still pays Lou to "protect" her. She first came to Atlantic City in the 1940's for a Betty Grable look-a-like contest and never went home. She dreams of a man like the one she had, one she does not have to pay to protect her, someone she can be proud to walk down the board walk with again, a Princess in her own mind. Susan Sarandon is Sally, a divorced young woman who waits on patrons at an oyster bar in the casino, but is also going to school to learn how to be a dealer. Her dream is to go to France and work in the casinos of Monte Carlo. She just doesn't have the money. When Sally's ex shows up with his pregnant girlfriend and a stash that doesn't belong to him, things change. And that's all I will tell you about this remarkable film, which was about 15 years ahead of it's time, both in it's direction by Mr. Malle and the subject matter itself. 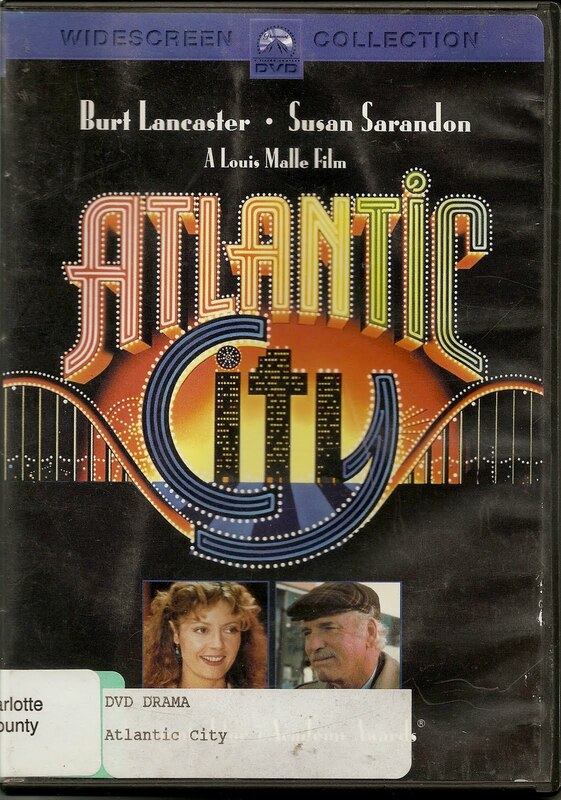 Set against the backdrop of Atlantic City during the late 1970's, when the town was turning from a family resort to a mob run gambling town, lends tension and a seedy quality to the film, which was largely shot on location. As for the acting, all I can say is that Burt Lancaster and Susan Sarandon are both outstanding as people who get caught on the edge of life. Mr. Lancaster is especially great in this breakout role as a sensitive man with the desire to rise up and be more, both for himself, and those around him. This is a sharp, well made film.